This homeowner in Chatham Borough, NJ has a very old boiler that was no longer working. Our highly trained technicians replaced the old boiler with a new Crown Boiler cast iron steam boiler model #BSI138. This home in Chatham Township had a very old 75 gallon water heater from 2004 that was leaking. Our team replaced it with a new more energy efficient Rheem 50 gallon water heater. This homeowner in Chatham, NJ loved the idea of conditioned air. Had an old bypass humidifier installed that just wasn't getting the job done anymore. Pipe Works installed a new one and the air in the home is not so dry in the winter. Exposed duct work in basement - would like to insulate with closed-cell spray foam. I need a washing machine shutoff valve installed (manual type). The current valve is soldered in place. Would like to schedule for Wednesday, Jan. 30. Would like estimate for changing to forced hot air heating system. Currently have steam radiator heat. Thank you! Reconditioning home. New kitchen. Adding a full bath second floor. Reconditioning three existing baths second floor. Moving a half bath main floor, adding a shower to half bath basement. Cold bedroom. Differs radically from the rest of the house. 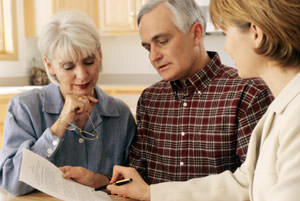 Would like to discuss your audit process to better understand before signing up. Our toilet does not flush completely and even after several flushes not everything clears the toilet. I am writing to let you know what a great job your employe Jonathan did on 2/16/12. He was excellent! Curteous and on time! I have never had a problem that Pipe Works hasn't resolved with high standard, satisfactory, workmanship. All the employees at Pipe Works are amazing so helpful and kind. Lloyd was just here so great. The company could not be more responsive. Paul, I wanted to let you know how impressed I was by the service we received from Pipe Works last week. Not only did I get a very quick response to my emergency call but when Mike arrived soon afterwards he was highly professional and helpful. Paul, receipt of your customer satisfaction survey served as a timely reminder to write you this note of thanks for the recently completed installation of our new heating and cooling systems and hot water heater. Hi Paul, just wanted to let you know, your guys did a fantastic job at my house Sunday. I had a big pipe backup and had to call in the emergency troops. Two of your team arrived when they said, went right to work and fixed the problem. Paul, On behalf of the congregation of Ogden Memorial Presbyterian Church, I would like to express our heartfelt gratitude to you and the plumbers of Pipe Works for your work removing the water fountain from our gym. Thanks for your great service and even better job during our boiler installation. We couldn't be more impressed with the service Mike Tapia provided to us with our A.C. issues. We have never had a technician that was so knowledgeable and willing to take the time to make sure we understood everything he did. Great work from Mike Tapia yesterday. Quick, efficient, professional and polite. What else can I ask for. Appreciate the extra thoughts on the AC too. Kevin Jensen repaired my AC today and it is working very well. He is always professional, friendly, courteous and knows what to do. We appreciate all of your amazing support and continued generosity. Thank you so much for your enthusiasm! Tha Chatham Fire Department would like to thank you for your generous donation to be a Hole Sponsor for our 20th annual Lewis R. Sheats Memorial golf outing. We enjoy our Home Sense issue. You are doing exactly what you told us you would do with the company. Expanding is a very smart move. I just want you to know how much I appreciate the work you have done in the past 5 months. Thanks to you and your team for great service on the last service call. Paul Thanks for the good, professional courteous job installing the two sinks this week. Pipe Works Services received a letter this morning from the Chatham Senior Center thanking us for our sponorship of their "Chatham Shred" event. Zach was our technician. He was very professional, friendly, very knowledgeable and fixed our problem quickly. "We have had Pipe Works into our home in Chatham on many..."
"Rick was terrific! Excellent diagnostic skills - quickly..."
Here at Pipe Works Services, Inc., we believe in the value of customer service and are proud to serve our area. We use only high-quality products, installed by our excellent team of certified technicians so that you can be sure of long-lasting results. We want to work with you to find the solution that will work best! If you have problems with your heating system working more than it needs to, then you should get it serviced with the professionals at Pipe Works Services, Inc.. Heating bills can become the largest part of a family's expenses, making winter a hard time to have your furnace running improperly. Don't take the risk of your furnace or boiler falling into disrepair right when you need it and be sure to get it serviced regularly. Pipe Works Services, Inc. is Chatham, NJ's trusted water heater repair, replacement and service provider. We have a long history of helping homeowners with all their water heater service needs, whether gas, electric or any other kind, we can help. When it comes to water heaters, we only offer our customers the best. At Pipe Works Services, Inc., we understand that you need the best at an affordable price! If you are looking for a water heater repair, replacement or service cost estimate, contact us today for a FREE quote! Rheem water heaters offer homeowners the highest quality in the industry, and at Pipe Works Services, Inc., we are proud to be a certified Rheem water heater services contractor. When it comes to water heaters, you can rely on Rheem to not only last for many years but work extremely efficiently especially the 75 gallon Rheem water heaters. If you are looking to install a new or service an existing Rheem water heater, contact Pipe Works Services, Inc. today for a FREE service quote! Many homeowners pay more than they need to on their energy bill because energy is being leaked out through insufficient insulation. Attics and crawl spaces, in particular, are huge culprits and can leak out a great amount of air, causing your heating or air conditioning systems to work overtime to keep your home comfortable. By upgrading your attic insulation, you can cut your heating and cooling costs by as much as 40 percent! When you call in the professionals at Pipe Works Services, Inc., we do a full analysis of your home to pinpoint which areas are leaking the most air. We then insulate these areas so that your home can run more efficiently. Our SuperAttic insulation system utilizes both spray foam insulation and SilverGlo rigid insulation so that you can be sure your attic won't leak air. One of the most destructive ways that snow and ice can affect your home is through ice damming. When an attic is improperly insulated, the heat that it gives off in the winter melts snow on the roof, causing it to slide down to the gutter and freeze again. When this happens repeatedly, the ice creates a dam and the water leaks back into the house through shingles on the roof. The way to prevent this from happening is to make sure that your attic is properly insulated so that heat can't leak out in the first place. If you're concerned about losing heat during a power outage, then our generators are the thing for you! You can choose whether to have only a few things backed up by the generator like the heating system, a few lights, appliances, etc., or you can have your whole home backed up. Either way, you can be sure that your home will be storm ready. And along with generator installation, we can also assist with a full range of home electrical services! 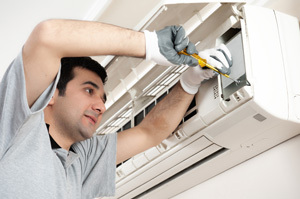 Pipe Works Services, Inc. has the tools and the expertise to tackle all your HVAC, insulation, and plumbing problems. Our team of friendly, knowledgeable staff and trained experts use only high-quality materials to ensure that your project has great, long-lasting results. Call us today for a free estimate! You can count on the electrical services provided by Pipe Works Services, Inc.! We have provided reliable 24/7 electric services to homeowners in Chatham since 2000. We do it all from repairing, troubleshooting, and maintaining all electrical systems, 24/7 emergency repairs, any interior or exterior work, and much more! As the trusted electrician in Chatham, you can rest assured that whatever you need, we will get the job done right! Our technician performed a cooling PSA. The indoor unit, all electrical circuits, and components were working properly. The condensate drain is clear and free from obstructions and emergency shut off wet switch was working correctly. The indoor air filter is in clean condition and the customer has replaced it. The outdoor unit all electrical components working correctly as well contactor capacitor, fan motor, and compressor all distributing proper voltage. It was also within the 60 degree ambient temperature and temps on refrigerant are all withing manufatcurer specs. No issues with ac at this time. Our electrician went to the customers home to replace the wiring for a new boiler. He removed the old wire whip for boiler and replaced service switch and rewire boiler. He also ran wiring for outdoor sensor and installed om back of house with a connect to the boiler. The stat wire was also routed from the zone control to the boiler. Our technician arrived on site for multiple plumbing issues at a customer's home in Chatham, NJ. The first issue was master bathroom faucet for left hand sink was loose. The toilet in the same bathroom was also running. Second-floor main bathroom faucet was also loose. In addition, the basement toilet what is filling up slowly. He looked into that and found the fill valve wasn’t shutting off in time to prevent the water from going into the overflow. There’s also a half inch cap plug on the sprinkler system that had a very slight drip to it. We also replaced gasket for canister style flush valve in master bath toilet. Finally the technician also tightened down the nuts under the faucets for the spouts to keep them from moving. -Remove and dispose of existing fiberglass insulation and plywood boards in attic and vacuum out all debris. -Install 128 sf. layer of 4'' SilverGlo along attic deck then cover with 3/8'' plywood to provide insulated storage platform. Dense pack cellulose under the installed decking. -Install vertical insulation retention dams to hold blown in insulation in place. -Cover recessed high hat lights with fire rated tenmat covers. -Insulate the open areas of the attic with 17" TruSoft cellulose insulation. -Seal off whole house fan louvers from above with a 4" SilverGlo, air seal with one part foam and cover with plywood. - Install 'David Lewis' attic pull-down stair hatch cover to provide insulation and air seal of the hatch. Cover is made with 4'' SilverGlo EPS foam board insulation. Cut a 1 ft strip in the ceiling along the garage doors to expose the plumbing and the vented over hang. -Seal off the overhang with 2 inch silver glo foam board and 1 part spray foam encapsulating all plumbing pipes. -Pull back the existing insulation around the perimeter of the kneewall attics to expose the exterior soffit. -Block all soffit and gable vents with 2 inch silver glo foam board. -Spray foam all the roof rafters and gable ends with 3 inches of Lapolla 4G closed cell spray foam. -Spray coat all foam with 1 coat of Lapolla Fire Lok coating. Pipe Works Services, Inc. will: Insulate exterior walls of the 1st floor bath, kitchen, both stairwells, wall from the garage door to the basement bath, basement bath. -We will seal off all accessible rim joist in the basement with 2 part spray foam to close of wall cavity from the utility room all the way around to the back of the basement "workshop". -We will drill a 2 9/16'' holes in the exterior sheathing in each 2x4 stud cavity and Insulate exterior walls of the 1st floor bath, kitchen, both stairwells, wall from the garage door to the basement bath. Due to the stone foundation outside the basement bath, we will access the walls to insulate from the interior. Please note that besides the 1st floor bath and kitchen (which need to be insulated from the exterior, exclusively), the install crew will decide, with the home owner, whether to dense pack from the exterior or the interior. -We will dense pack all these areas using Trusoft cellulose blown insulation to air seal and insulate the walls. -We will plug all holes created with cedar wooden plugs on the exterior of the home and foam plugs on the interior of the home. These are air sealed and the interior plugs will be rough spackle in place. Please note: Pipe Works Services, Inc. does not "finish spackle" sand or paint. -We will put back all siding removed in the condition it was found. Spray foam Insulate the entire basement rim joist. -We will seal off all accessible rim joist in the basement with 2 part spray foam to close of wall cavity from the utility room all the way around to the back of the basement "workshop". Pipe Works Services, Inc. will secure and protect the basement flooring and the basement in general from the residual dusting and any other dusting or objects while the project is ongoing. The Homeowner will remove all objects or obstacles in the vicinity where the works is to be done, creating an unobstructed work space area. Pipe Works Services Inc. will cut off and remove sections of the drywall (sheet rock) on the top section of the buffered wall where it adjoins the garage ceiling. Pipe Works Services Inc. will install SilverGlo rigid foam board between the studs and joists as a blocking to separate the basement ceiling from the garage ceiling in preparation for dense packing the remaining six to seven feet of the garage ceiling. We will also air seal around the SilverGlo or all accessible openings to separate the both ceilings. Pipe Works Services Inc. will drill 2-9/16" holes between the joist of the remaining six to seven feet garage ceiling nearest the basement. Pipe Works Services Inc. will dense pack our TruSoft cellulose insulation between the joists through the drilled holes, filling the cavities between these joists. Pipe Works Services Inc. will plug the holes and seal air tight and apply joint compound. Convert attic to extension of conditioned space by installing average of 3'' (R-20.4) thick closed-cell spray foam on roof and end walls including ignition barrier paint. Install dense-packed TruSoft cellulose in cavity between drywall ceiling and roof deck of cathedral ceilings by accessing cavities from soffit or facia. Remove and dispose of three existing windows in living room and install three Anderson Low E replacement windows. White vinyl exterior primed wood interior including insect screen. Remove and dispose of existing bay windows and install three Anderson Low E replacement windows. White vinyl exterior primed wood interior including insect screen. Replace roof over bay window including 2" closed cell spray foam in roof area above windows and SilverGlo foam board below windows with new Azek skirt board. Relocate existing generator using existing pad approximately 3'-4' to the left a maximum distance of the electric line and relocate existing gas line. UV Option: Supply and install one UVC24V ultraviolet germicidal light Germicidal lights kill germs, mold and fungi that may live in ductwork and inside your heating and cooling equipment. This helps keep your HVAC system clean and running at peak efficiency. Insulate and air seal ceiling over garage with dense-pack TruSoft cellulose insulation - ceiling bays accessed from inside of garage by drilling multiple 2 1/4" holes in cement ceiling dense packing each joist bay with cellulose then plugging and patching all holes with cement. Some touch up paint may be required and is not included. Upgrade 2'' x 4'' wall insulation of two exterior walls at front right corner of house with inserted dense-packed TruSoft cellulose insulation by removing individual shingles and drilling sub-wall, then reinstalling the shingle. Pipe Works Services Inc. will supply and install a new circuit from the existing electrical panel for system. 5" Chimney Liner up to 35' Stainless steel. Pipe Works Services Inc will replace the 4 inch Smoke pipe from the original furnace and re connect to the chimney liner. Pipe Works Services Inc will re cement penetration of the liner out of the foundation. Pipe Works Services Inc., will replace lineset if accessible, otherwise will chemically flush lineset to prepare for new refrigerant. Pipe Works Services Inc., will connect to existing electrical services, provided the gauge of the existing wire is sufficient for the new installation, otherwise additional charges will apply. Pipe Works Services Inc., replaced the lineset if accessible, otherwise will chemically flush lineset to prepare for new refrigerant. We removed the Aprilaire Steam Humidifier to install the new evaporator Coil, then reinstalled the unit after the completion of the installation of the Coil. We then connected to existing electrical services. We will drill 2-9/16" holes between the joist of the remaining six to seven feet garage ceiling nearest the basement and dense pack our TruSoft cellulose insulation between the joists through the drilled holes, filling the cavities between these joists. Installation and wiring of the following: Wired furnace. 2. Installed duplex outlet for pump and air cleaner. 3. Installed transformer. HVAC Installed Returning to finish installing a proper trap on the condensate, need to install a test port on the venting and we need to test the combustion. Our technician was dispatched for HVAC Service to install a control board for a customer in Chatham, NJ. Pipe Works Services Inc. will excavated a trench approximately six feet deep and thirty feet from the front of the house towards the curb. We then cut a two to three-feet section of the main sewer line and hydro scour and cleaned the line in both directions. Our technicians then lined the entire main sewer line, from the house all the way to the street, approximately fifty feet in total. Our Technician adjusted water pressure to 20 psi. Installers never adjusted fill valve so the boiler locked out on P7. Matt re-secured the drain hose into the pipe hose and moved the pipe due to pressure. Attached and cycled confirmed operation. A customer in Chatham, NJ who we serviced in the the past called into Pipe Works Services in need of a faucet repair. There were two low pressure faucets in the kitchen and one of them was leaking. Pipe Works Services dispatched our plumbing technician, Pedro and he diagnosed that the kitchen faucet head had dirt in it. Pedro cleaned it and its was working. Pedro also took out the cartridge to directly match it for a replacement and did so successfully. now water is not leaking and the faucet is running more efficiently. Pipeworks installed totally new system 1 year ago. Ac was working - now thermostat display is blank and AC won't turn on. Have tried connecting / reconnecting. Checked circuit breakers. 1941 Cape with no AC. Heat is radiators and baseboards. Would like to put in ducltless ac. We just bought a house that has three seperate thermostats. There is a heating on onthe ground floor, then a heatingand anA/C one onsecond floor. We would like tosee if can possibly combine or witelessly link? wehave previously used Nest thermostats. No hot water. Tank leaking on bottom and leak put out the pilot. The drainage pipes on the outside of the house where the sump pump empties appears to be backed up. I am getting large puddles on water in yard by the house. Hot water heater making noise. Based on my research I feel the hot water heater needs to be flushed. I am having a french drain put in my basement. the gas dryer does not have its own shutoff valve, I will have to shut the gas off for tar entire house so they can move the dryer, Can you put a cap on the dryer and then install a gas shutoff valve. Sump pump in basement stopped working and triggered alarm.